A lawyer and political activist is accusing Alberta United Conservative Party Leader Jason Kenney of claiming his primary residence was in Calgary while living in Ottawa, an allegation Kenney disputes. Lawyer Kyle Morrow provided CBC News with emailed copies of documents, including expenditure reports and land title certificates, as well as parliamentary flight records while Kenney was an MP for Calgary-Midnapore. He also detailed his questions for the UCP leader in a string of tweets sent over the weekend. The documents show Kenney collected secondary residence subsidies in Ottawa between 2012-15 of about $10,000 each year, while his mother's retirement home in Calgary was listed as his address with Elections Canada. "Why was Jason Kenney lying to Elections Canada about his address in Calgary? Was he also lying to the Board of Internal Economy and the Canada Revenue Agency? This could be Duffy 2.0," Morrow tweeted, referring to Senator Mike Duffy, who was charged but later acquitted over accusations that his secondary residence expenses didn't comply with Senate rules. Kenney's deputy chief of staff Matt Wolf said they deny the accusations, which he described as "desperation" from a "failed Liberal candidate." Morrow ran as a candidate for the Alberta Liberals in Lacombe-Ponoka in 2012. He now works as an anti-bribery and corruption lawyer who focuses on political law in Ottawa. Wolf said Kenney has resided in Alberta for nearly 30 years, and unlike senators, members of Parliament are not legally required to own property. "In the early 2000s, Jason's parents retired to Calgary. In order to assist financially, Jason sold his townhouse and helped his parents buy a house, where he rented the basement suite," Wolf said in an emailed statement. 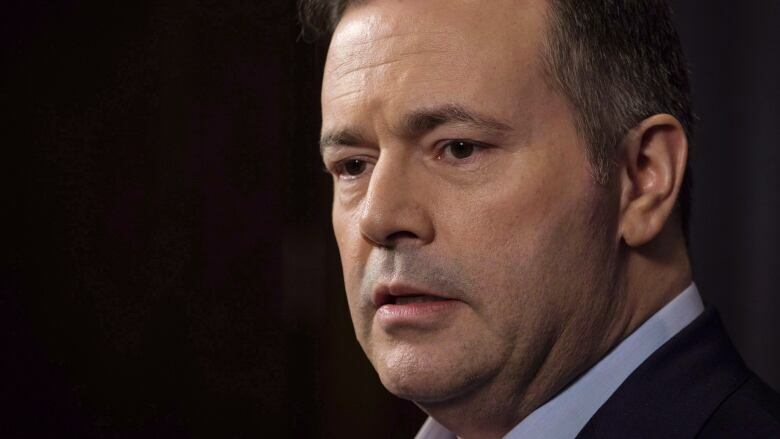 Wolf said after Kenney's father died, his mother moved into a detached bungalow unit in a retirement community, where Kenney rented the finished basement of the bungalow to care for her, and later purchased his Calgary condo where he lives today. "Jason, as a senior federal cabinet minister, of course also maintained a residence in Ottawa, as that was where his primary ministerial duties were. Jason was afforded the same living allowance that all Members of Parliament receive for accommodation in Ottawa, and all was in line with House of Commons policy," the statement read. "It's frankly beyond creepy to see this Ottawa lawyer and failed Liberal candidate going so far as to seemingly pull property records of Jason's mother and post floorplans of her then-home. Sadly, we expect this desperation to only get worse as both the provincial and federal elections approach." As for the Inverness home, Wolf said it was likely an old address inadvertently filed by a volunteer with the Electoral District Association, as that's who files the information — not Kenney himself. Wolf said the volunteer may have found the information on an old cheque, noting Kenney's new address was also listed in a donation around the same time. Kenney also disputed Morrow's allegations in a lengthy post on his Facebook page. "While some might mock, I make no apologies for helping my parents. I am not embarrassed to say that my home was in the same dwelling, even if in a separate suite. I owe everything to them," he said. However, Morrow said he finds it odd that Kenney is claiming to live at his mother's retirement community, which he pointed out is licensed as both a supportive living facility and an assisted living facility. The Alberta Health website states that to gain admission into supportive living, individuals must be assessed by Alberta Health Services Home Care. A staff member at the retirement community said over the phone that the bungalows do not have bedrooms in the basement, just a single bedroom on the main floor. Wolf said the unit where Kenney's mother lived did have a finished basement, as he noted in his earlier statement. Morrow said if the bungalow was Kenney's secondary residence, he believes the flight records don't back that up — showing that Kenney only expensed 10 travel points on parliamentary flights in 2013-14, (itemized flight records with destinations were not available for that year), and five round trip flights from different departure cities to Calgary in 2014-15. "This infrequent travel to Calgary seems to suggest that he was not, in fact, permanently residing in Calgary," Morrow said. "I am concerned that Mr. Kenney engaged in a scheme similar to the one employed by Senator Mike Duffy. If Mr. Kenney has nothing to hide, he should immediately release his tax returns, his tenancy agreement, and his travel itineraries for the period in question." Wolf said Kenney doesn't deny that his duties kept him outside of his constituency often, but it was because he was working hard in the capital or elsewhere. He said while Kenney was in Calgary, he liked to be able to help his mother — something he, unfortunately, couldn't do full time — but his principal residence remained in Calgary throughout. Morrow said he has reached out to the Board of Internal Economy — the body that governs the financial and administrative matters of the House of Commons — to request an investigation and plans to reach out to the RCMP to request an investigation early next week. The original headline on this story said Jason Kenney was claiming living expenses as an MP for his primary residence in Calgary when the claims were for his Ottawa living expenses.